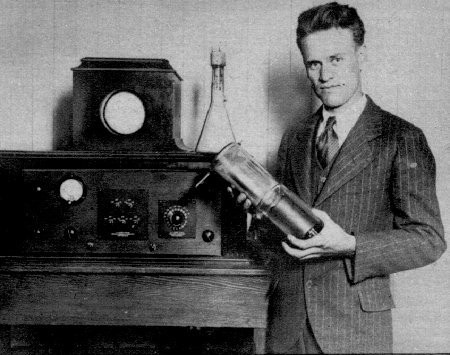 Philo T Farnsworth demonstrated the world’s first all-electronic system of television in 1927. Like Baird, he had difficulty obtaining financing for his experiments. By 1930, Farnsworth’s shareholders insisted that he show his television system to RCA (Radio Corporation of America). Initially, RCA believed that it could do without Farnsworth’s many television camera patents, but they became crucial to making RCA’s television camera work properly. Patent litigation between Farnsworth and RCA became intense. Finally, a licensing agreement was reached, and television as we know it began. Following his career in research on television, Farnsworth became involved in radar and atomic energy research.